I used to do a lot of bread baking when I was younger. Not so much anymore. 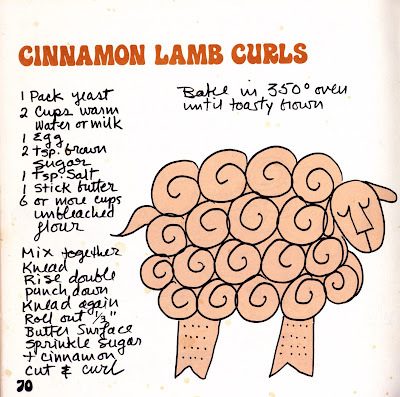 However, this recipe is one of my all time favorites to make for Easter Brunch: Cinnamon Lamb Curls. 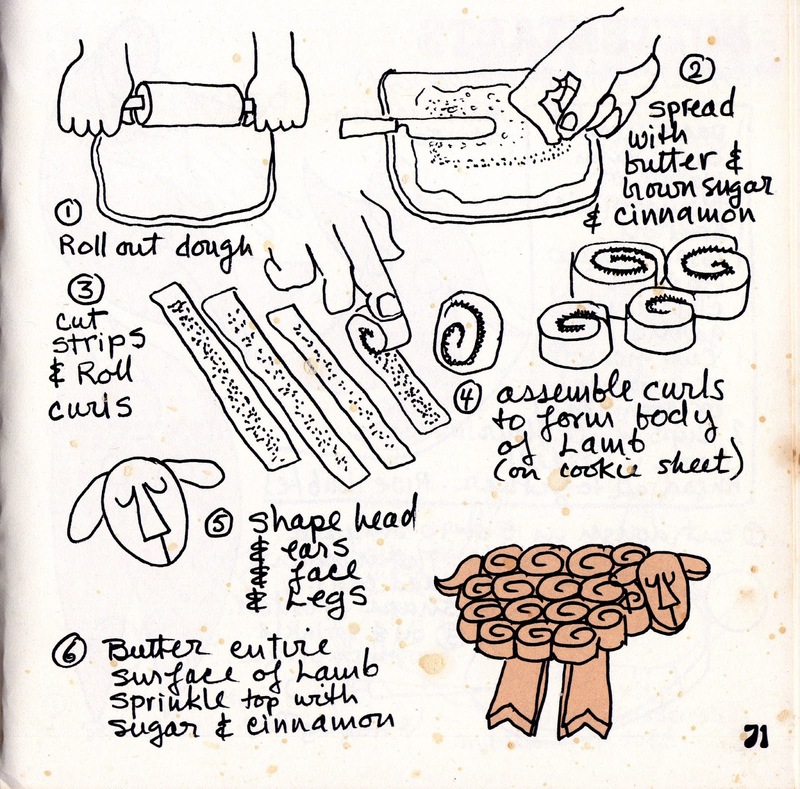 They're a fun variation on traditional Cinnamon Rolls. They not only taste great but look terrific for the holiday! 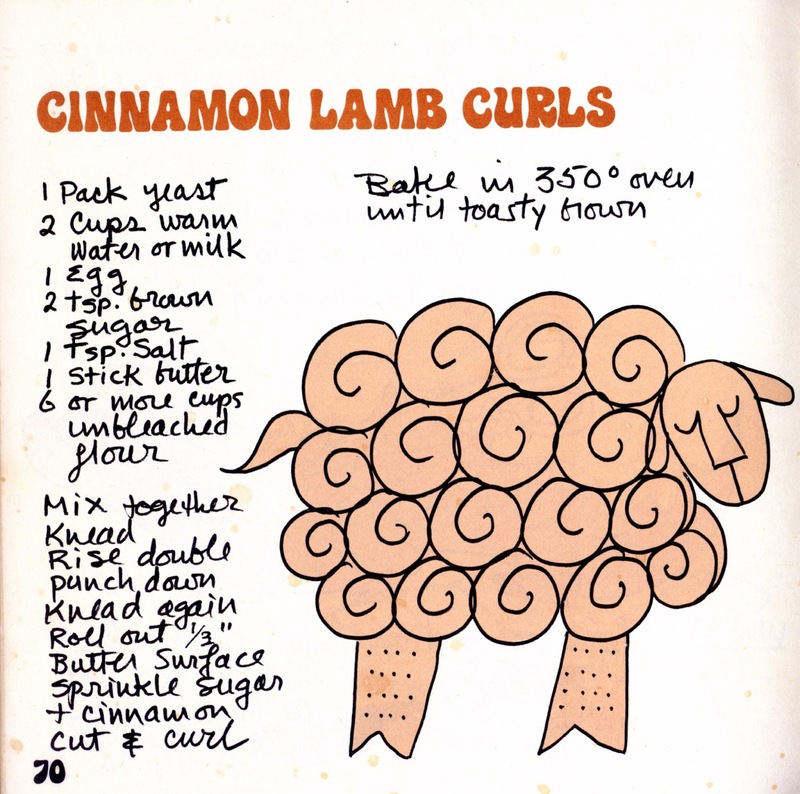 This "Cinnamon Lamb Curls" recipe is from Bread Sculpture: The Edible Art by Ann Wiseman (101 Productions, 1975). And, yes, the stains on the page are mine. 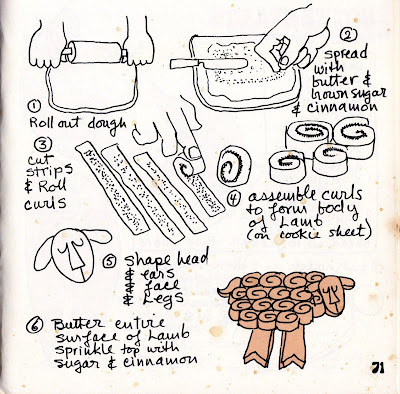 The book is a wonderful source for lots of other bread baking, as well. 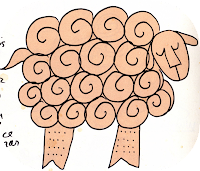 All kinds of tips on dough, bread making, tools, and sculpting bread. 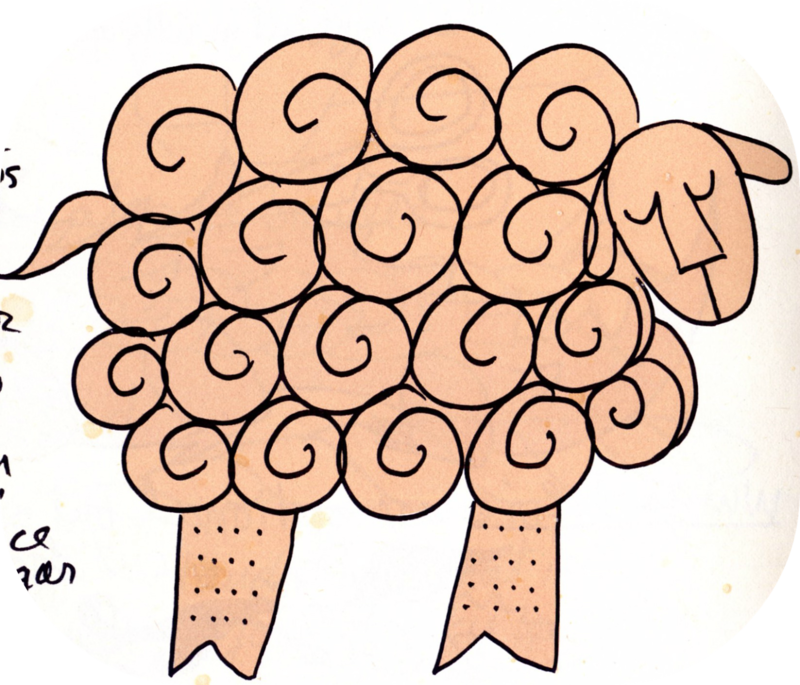 If you do an Internet search, you'll probably find a copy of this out of print book. It's a great asset on my shelf. Scroll down for a Chocolate/Cinnamon Alternative to the filling! And, since this is a chocolate blog, here's a chocolate/cinnamon alternative to the filling in the recipe. Spread this on the dough before cutting and baking.